Understanding how the media works, what makes news and how to make the news, is valuable knowledge for any Grange. Favorable media exposure means recognition in the community, acknowledgement of Grange activities, services and accomplishments and a higher profile of your Grange among potential members. The perfect place to start is with a well-written press release. We cannot stress enough the importance of a well written press release. We constantly come across inaccurate, poorly written or unedited press releases that simply will not be read by the media. They become a waste of time to journalists who are already bogged down with information overload. And some releases are just not publishable. A poorly written press release will be a very fast turn off for any journalist or editor and will reflect negatively on your Grange's efforts. Although some of the best writers will occasionally miss grammatical errors or typos, by making sure you read, edit and re-edit your press release, you drastically reduce the chance for error. 8.) Provide as much contact information as possible: Individual to Contact, address, phone, fax, e-mail, website address. In the ever-expanding 24/7 online and traditional media world, reporters and journalists are hungry for authentic original sources and stories. Pitch yours professionally, and you have a chance at media coverage and reaching many more people than you ever thought possible. 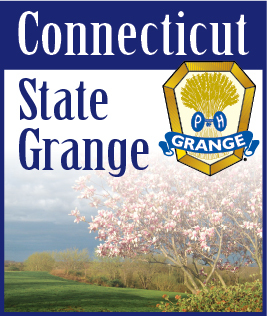 If you or your Grange needs help writing press releases, please contact the Public Relations Committee. We’re here to help!